Data by itself is nothing but a collection of facts and figures, letters and numbers. However, when ignited by understanding and context, data can become so much more. In 1440, Johannes Gutenberg, a goldsmith by profession, completed his invention of the printing press, which sparked a revolution in the way people see and describe the world they live in. This collection of wooden and metal letters, regarded as one of the most influential inventions of the second millennium, led to the mass distribution of information and a wave of enlightenment that modernized and transformed culture. Today, we live in a digital age where the printed page is becoming obsolete. But we find ourselves amidst our own information revolution. Data has grown big and gets bigger with every digital transaction we make. It also is more accessible than ever, which leads to the questions, “how do we use, secure and share the information that surrounds us?” As we stand in the midst of the change we look back to the time of Gutenberg to find inspiration for the future of security. Knowledge has always been power. Knowledge has always kept us one step ahead of security threats. We’ve found security in knowledge. And just as Gutenberg’s wooden and metal letters sparked the evolution of culture, at RSA Conference 2013, we bring our security insights and perspectives together to ignite the mass of information that surrounds us. This presentation will explore the rapidly evolving world of Android malware and shed light on the various techniques used to exploit devices using this OS. We will start by looking at some of the earliest examples; comparing them with the latest threats, exposing patterns and highlighting characteristics which are often unique to malicious apps. 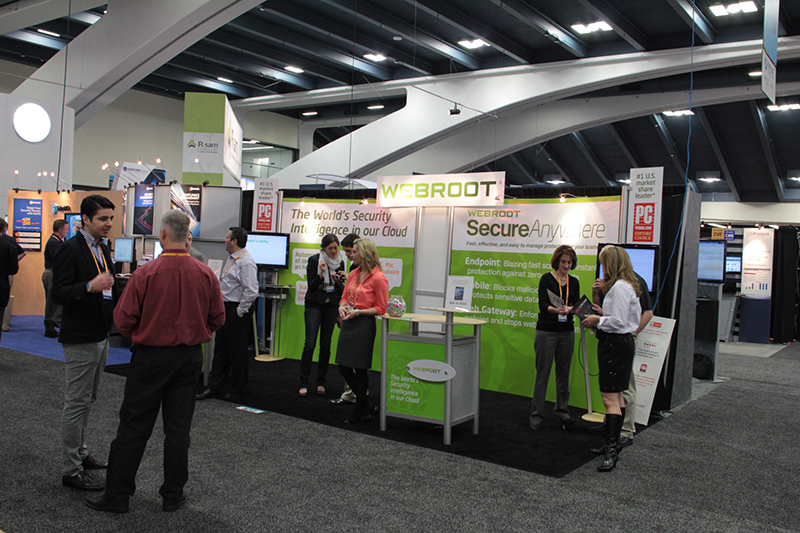 Register today for RSA Conference 2013 to access the industry's most in-depth intelligence over five-information-packed days in San Francisco. Some more photos have been uploaded to our gallery on Facebook, but here are a few of our favorites. Will anyone from the community be at RSA or in the area next week? I would love the chance to meet any of you for coffee or salt water taffy. The first photos from RSA are in, and they are available over on our Facebook page.